This genuine leather K Harness fits your dog securely and looks glamorous at the same time. The leather straps of the harness have a double row of Genuine Swarovski Crystals and the tab has 5 matching stones to complete the look. Please choose your leather color and size for this truly beautiful harness. 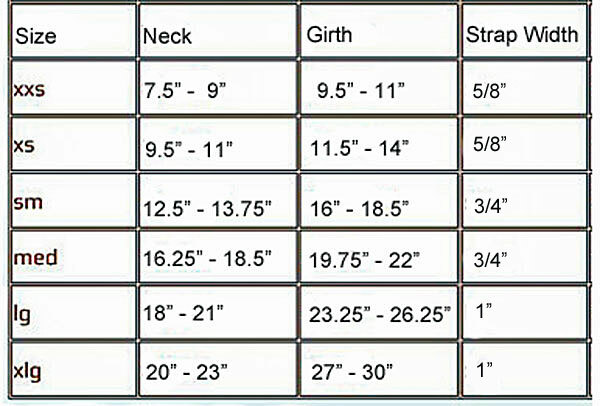 Strap width sizing: XXS, XS - both 1/2"
Sizes: XXS, and XS have 4 holes (neck) and 5 holes (girth) and are 1/2" apart. S, M, L, XL have 5 holes (neck) and 5 holes (girth) and are 3/4" apart.